Today the company I work for, EA-Tiburon, bought everyone tickets to Universal Studios Florida. It was foggy and misty this morning, but we decided to head out anyway. 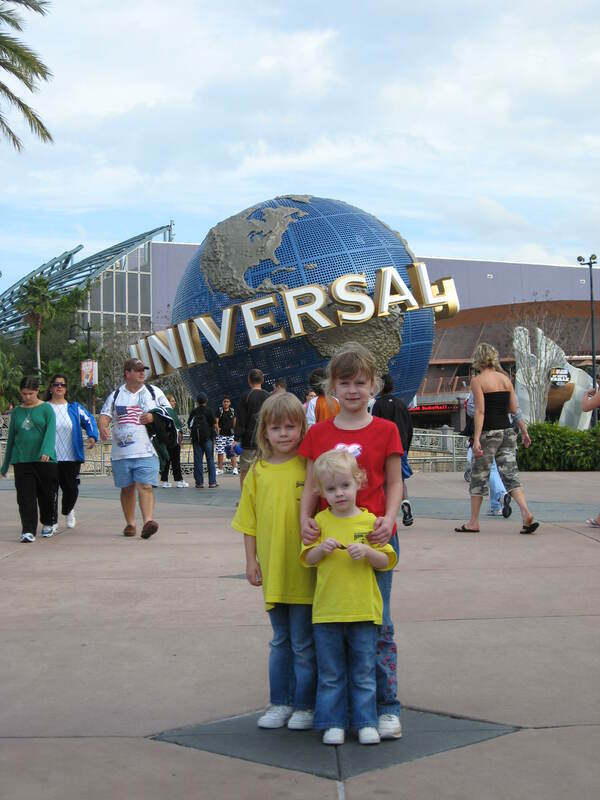 I had visited Universal once before, but this was the first time for Jennifer and the girls. Overall, everyone had fun. However, it wasn’t anything that you couldn’t see at one of Disney’s parks. The one exception being the Revenge of the Mummy, which is one of the best roller coasters I’ve ridden. We ended up riding the following rides: Jimmy Neutron, Shrek 4-D, Twister, Revenge of the Mummy, Jaws, Woody Woodpecker’s Nuthouse Coaster, Fievel’s Playland, and E.T. Adventures. We had to explain to Abby how each ride was based on a movie, since she had never seen Twister, Jaws, or E.T. We told her it might be a while before she can see Jaws, but we would try and add E.T. to our Friday movie night. Isabelle was quite funny during the Jaws ride. She kept burying her face into my side each time the shark would pop out. Everyone kept saying “awww” every time she would do it. By the afternoon the fog had burned off and the sun turned the park into a sauna. After that we only spent a few more hours because we all were starting to get cranky. One other event of note is that we’ve been potty training Isabelle over the past week, starting last Monday. So far it’s looking like success. She now tells us when she needs to go instead of us asking every hour or so. It has been two days straight of her staying dry and she even survived the trip to Universal Studios and stayed dry all day. This is quite a momentous occasion for me as a parent. This now marks the end of seven straight years of changing diapers. Yea! This entry was posted in Abby, Electronic Arts, Emily, Family, Isabelle, Movies by Jason. Bookmark the permalink.